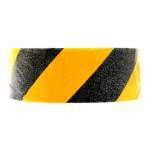 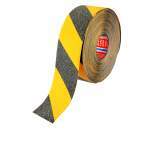 Hand tearable anti slip yellow & black tape to prevent skidding or slip related accidents. 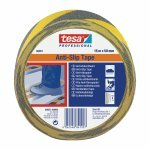 tesa® 60951 Anti Slip tape protects from skidding, and helps avoid accidents in the workplace. It has a strong, durable adhesive that is effective for 1-2 years in normal use areas. 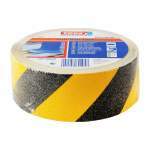 The tape is hand tearable and is resistant to saltwater environments.